ShopNBC Wedneday unveiled the ShopNBC.com Cellular Store, featuring mobile devices and service plans. The new online destination at ShopNBC.com is powered by Simplexity, an online retailer of cell phones and home services. 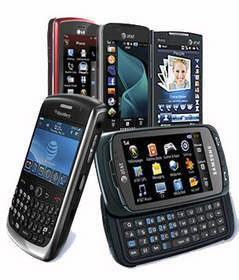 ShopNBC.com’s Cellular Store offers wireless devices and service plans. Customers now have the ability to research and buy mobile devices, accessories and service plans through the ShopNBC.com Cellular Store. It has more than 400 items from wireless providers across the country, so visitors can browse hundreds of wireless devices from LG, BlackBerry, Samsung and more by phone type, service provider, or rate plan as well as order accessories for mobile devices. Users can also upgrade their existing cell phone and service plans with ease. Simplexity’s technology solutions include merchandising, procurement, customer service, billing, customer relationship marketing, order processing and cell phone activations for the largest U.S. carriers. It operates private label Web sites for some of the largest names in retail, including Best Buy, RadioShack, Newegg, Sears, and Dell, as well as Wirefly, the leading one-stop cell phone and wireless plan comparison shopping site that has been awarded “Best of the Web” by Forbes magazine and “Best in Overall Customer Experience” by Keynote Systems. “We are excited to be selected by ShopNBC,” Jeff Baskin, senior vice president of the Consumer Wireless Division of Simplexity, said in his prepared statement. You are currently browsing the archives for the Jeff Baskin category.